Waterfront park is a gem for the city of Louisville. On February 7th there was a grand opening ceremony for a new pedestrian bridge which crosses the Ohio River into Indiana. I was at home watching the news and I saw the news helicopter with live coverage of hundreds of people enjoying the unseasonably warm weather. No way I would miss out on the fun. I needed a loosening up jog for Saturday’s race so I laced up my running shoes and headed downtown. On the way back across I saw a familiar face. The Mayor of Louisville, Greg Fischer was mixing and mingling with the crowds. I acknowledged him and introduced myself. Mayor Fischer has visited my church on a couple of occasions so I felt comfortable speaking with him. He is very down to earth, friendly and approachable. 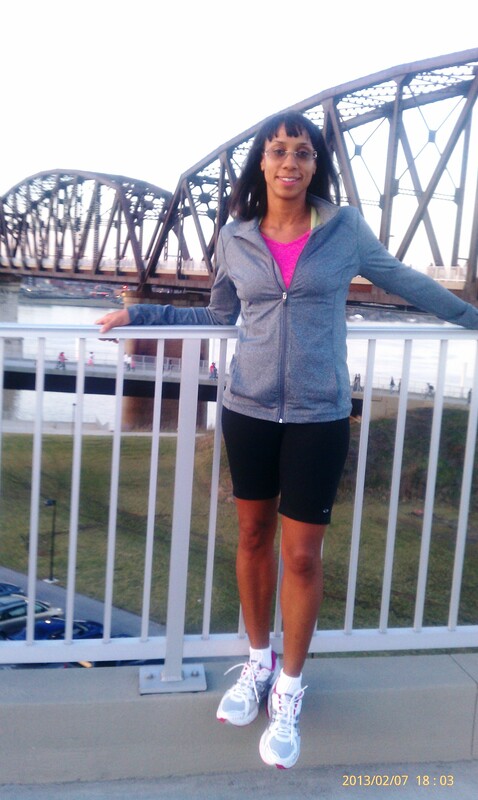 I look forward to the Big Four Bridge being incorporated into a 5k race in the future.